Graded EX 60 by SGC. Extremely attractive example of 19th-century star Jack Glasscock from the colorful N162 Goodwin Champions set. 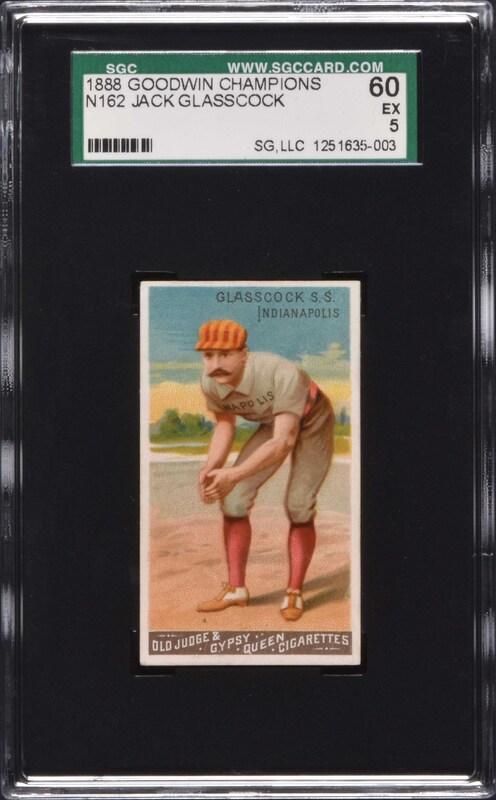 Glasscock is one of eight baseball players from this very popular fifty-card set issued by Old Judge and Gypsy Queen Cigarettes. The set features champions and stars of the day from a wide variety of sports. Glasscock was a major 19th-century star and universally regarded as one of the premier shortstops in the Major Leagues throughout his seventeen-year career (1879-1895). He has long been widely regarded as a serious candidate for future induction to the Baseball Hall of Fame. This very strong example is beautifully centered, with bright, flawless colors, and four strong corners. There is a small surface chip of paper loss on the lower right border which keeps this card from grading higher. The back is clean with a boldly printed checklist for the set. 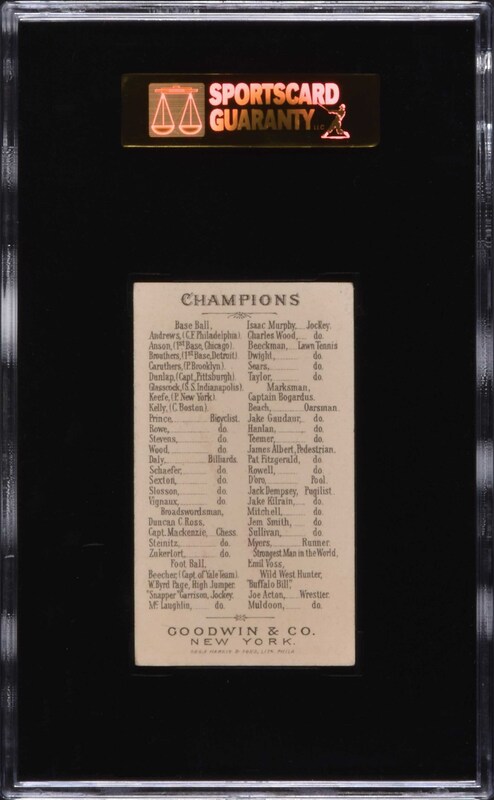 N162 Goodwin Champions are considered by many to be the most beautiful of all 19th-century tobacco cards. This is an extremely attractive sample card in a very high grade. Reserve $300. Estimate $500+.